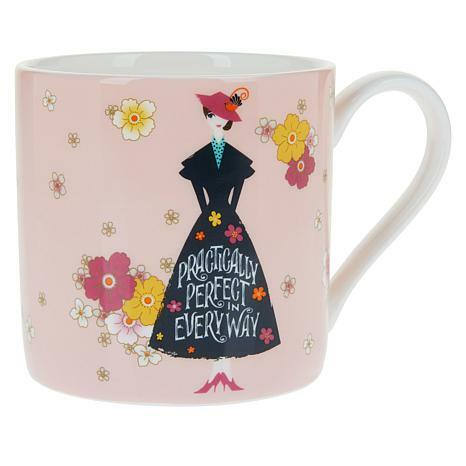 Enjoy a practically perfect beverage everyday when you sip morning coffee, afternoon tea or bedtime cocoa from this delightful mug. Volume Capacity: Approx. 12 fl. oz. 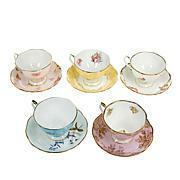 I like fine china and this is a lovely delicate cup. 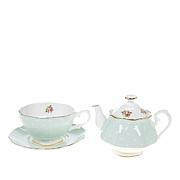 Wanted a Mary Poppins item.Love my tea and this being a Royal Albert was nice. 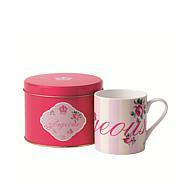 It's a lovely item and tea tastes better in this than in a heavier mug. My daughter LOVED her Christmas gift! 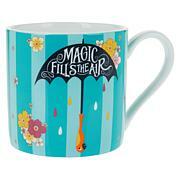 She's loved the original Mary Poppins movie for years and this beautiful mug is GORGEOUS! Recognized worldwide for its excellence, quality and craftsmanship, Royal Doulton offers you the finest in tableware, serveware and collectables. Royal Albert gives you the unmistakably English character of Old Country Roses, while Lady Carlyle channels 18th Century Rococo with its brocade fabric-inspired flowers and foliage. Each piece of lightweight, durable tableware has distinct Royal Doulton elements, like 22K gold trim accents that complement the rich, bold hues and soft, delicate tones of England’s traditional floral patterns. Feel the magic surrounding your everyday when you sip morning coffee, afternoon tea or bedtime cocoa from this delightful mug. Good to Know Not for use in the microwave.